The National Restaurant Association says that restaurants are the top category of gift cards/certificates that consumers want to receive. And restaurants love them as well, because spending by gift card recipients is typically 20% to 50% higher than a restaurant?s average check. Gift cards are also a great advertising vehicle because they?re so easy to carry. Restaurant owners who focus their time and effort on a custom card design (it should be consistent with other marketing materials) will find they?re an excellent way to get increased consumer attention. As the marketplace expands for gift cards of every industry imaginable, we will continue to see a growing market for the exchanging (bartering) of gift cards. An example: www.swapagift.com. If China is to flourish, its best hope lies with a group of entrepreneurs which barely existed a decade ago. According to Andy Xie, chief economist for Morgan Stanley in Asia, the rise of the entrepreneurs comes as capital flows not only to state behemoths, but to new enterprises. ?There is a gold rush in China because Chinese entrepreneurs can get capital and use other people?s money,? Xie reported. Managing director at Goldman Sachs Group, Fred Hu, says private entrepreneurs are a transforming force in China. Both Xie and Hu said the entrepreneurs have wild dreams and you can?t always figure out where and how they make money, except that they are expert traders, buying and selling goods and companies. J.J. Abrams, the co-creator and producer of the movie Lost, as well as the director of Paramount?s sequel Mission: Impossible 3, has signed a huge deal with both Warner Brothers Television and Paramount Pictures (which thinks Abrams is the next Spielberg)...that will see him earning millions annually. Included in the agreement is a barter-type arrangement wherein he will receive an additional 35% ?success compensation? (what?s known in the industry as the back-end) for the revenue from DVD sales, internet downloads and syndication sales. According to Randy Petersen, Editor of Inside Flyer, frequent flier programs have changed their course. Promoting customer loyalty has taken a back seat as airlines have turned to generating revenue by selling miles to partners. And it?s doubtful the airlines will ever change from their present direction. Every single frequent flier program in North America is profitable, Peterson contends. ?It?s the best thing that ever happened to airlines. There?s no doubt that without those programs, maybe two or three airlines wouldn?t be around today.? SportsLine will provide Maxim.com with sports headlines and real-time scores, with links that bring users to the sports site for the full stories. In return, Maxim.com will supply SportsLine?s ?SPIN? section with humor and entertainment content that caters to young male viewers which includes a heavy dose of scantily-clad women. Celebrating the company?s 15th anniversary, Bartercard Australia staged the world?s largest trade show on June 18 in Queensland. Three hundred twenty-six (326) exhibitors from Australia, Thailand, and the UK sold holidays (vacation packages), wine, golf equipment, cosmetics, and a variety of other goods and services in the 7-hour event. International Managing Director Andrew Federowsky said over 3,000 people attended. ?For the first time ever we opened the door to non-members, and provided them the opportunity to see exactly what exciting business opportunities Bartercard had to offer.? Bartercard celebrated the 15-year milestone by giving away 15 exciting prizes over a 15 week period. Door prizes at the trade show included a plasma TV, LCD, Quad bike and an in-car entertainment system. The world?s largest barter company also supported the local community by donating $1 trade dollar for every transaction which occurred at the trade show (over 6,000). The trade dollars were donated to the Queensland Spina Bifida Association. Bartercard operates in 16 countries around the world, has 75,000 members and does $3 billion in cashless transactions (sales & purchases) per annum. For more information visit: www.bartercard.com. The International Reciprocal Trade Association announced that Tom Greco Jr., author of MONEY: Understanding and Creating Alternatives to Legal Tender will be the keynote speaker at their international barter conference, September 14th to the 17th at the TradeWinds Island Grand resort in St. Petersburg Beach, Florida. Greco is an economist, educator, writer, researcher, and consultant, who, for more than 20 years, has been working at the leading edge of transformational restructuring. Besides his frequent presentations and interviews, he has served as an advisor on the creation of monetary alternatives. His expertise includes community economic development, monetary theory, community currencies and cashless exchange systems, computer applications, information and educational technologies, statistics, and survey research. Greco?s presentation will highlight and follow-up on the concept of an international trade credit currency that was initially proposed by IRTA?s former executive director, Paul Suplizio, and revisited in a video address to attendees at the 2004 conference. ?We are thrilled about gaining Tom Greco?s commitment to speak and participate in our conference this year,? Krista Vardabash, IRTA Executive Director, emphasized. ?I met with Tom back in 2001 and we discussed the importance of barter exchanges understanding the critical and important role they play in providing alternatives to legal tender. We are excited to have the opportunity to present these thoughts and principles to IRTA conference attendees.? ?This is a great add-on to the speaker IRTA presented last year, Bernard Lietaer, who spoke about the importance of collaborative efforts of international networks such as the one that IRTA promotes,? noted Richard Logie, IRTA Global Board Member. For more information, please contact Krista Vardabash at krista@irta.com, or call (585) 424-2940. 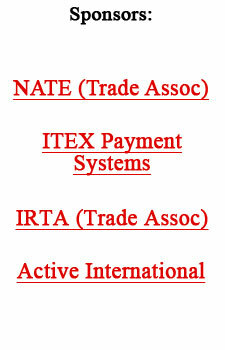 Since launching its eValues internet technology in 1999, aggregate trading activity for all sites totals $399,207,522. For further information on the eValues system which is designed for independent trade exchanges, contact Gary Lasater at 303-840-7172 ext. 1, or e-mail: gary@teletrade.net. Or online, visit: www.eValues.net. Robert Shiller, a Yale University economist, says the U.S. housing market is in more danger than most people think. Known for his book Irrational Exuberance, which predicted the bursting of the stock bubble in the 1990s and the coming of a similarly speculative bubble in housing, Shiller believes pundits today are still ?more upbeat than they ought to be? about housing. He asserts the housing market?s fundamentals are not that strong. Shiller, who made a name for himself by studying the behavioral quirks of investors, attributes the rapid rise in home prices the past few yeas to psychology. Individuals have been enviously trying to emulate the financial successes of their neighbors. He says buying based on such psychological factors could end suddenly, and then the tide turns ?like a disease epidemic.? A longtime bear on the global economy is Morgan Stanley?s economist Stephen Roach. His chief concern is the exhausted American consumer. Roach suggests that it is increasingly likely that the world?s buyer of last resort (American consumers) will slow their consumption. He points to numerous factors, such as mounting debt and the cooling property market. While emerging markets are on sounder economic footing than they were in the 1990s, they have not succeeded in boosting internal consumption. As a result, they remain heavily dependent on exports as the sustenance of growth. And when American consumers stop buying, emerging markets stop selling, Roach cautions. 50,000 Internet TV Channels Just Around The Corner! If 500 TV channels now astound you, the future will simply overwhelm you! And the opportunities will truly be endless...as a huge variety of small-audience programming, from personalized business news to very low-budget independent films, will soon be broadcast over the Internet. All viewable on demand via TVs, PCs, iPods, and cell phones. Major league baseball (www.MLB.com) is successfully using IPTV, offering live web broadcasts of all its games for $69.95 a season. The package includes a ?mosaic? feature enabling viewers to watch six games of their choice simultaneously. The U.S. House of Representatives passed a measure June 8, allowing telecom giants (like AT&T) to offer television service over their Internet networks in all local markets. The U.S. Senate is considering a similar bill. This means that companies, government agencies, and individuals all could buy channels or IPTV broadcast time to air their messages. A programming entrepreneur could set up and air an IPTV channel for $25,000, versus today where a single hour of conventional commercial-reality television costs $1 million or more. Additionally, Microsoft and Intel are working on software to ease the Web-to-TV interface. For a look at the future check out one model for the new technology, a travel and fashion show that American expatriates produce in Buenos Aires, Argentina. It?s available free online in high definition from their web site, www.mariposahd.tv. The first three half-hour episodes, produced on gear available at home electronics stores, have been downloaded more than 25,000 times. The creators of the show believe they can make money by running ads at the beginning and again in the middle of the free show. Obviously it?s too early to foresee how many viewers would pay for unconventional, user-generated channels. A hint of the future, however, could be the viewership of the five top user-generated videos on www.YouTube.com, which have been seen 55 million times! Editor?s note: If diversifying and personalizing media choices is the next big thing for consumers, there?s going to be a lot of media available for bartering. It?s simply a matter of running ads and charging advertisers in proportion to the show?s popularity. If you wonder what your business might sell for, or what it might cost you to buy the type of business you?ve always dreamed of owning, check out www. bizcomps.com. The new Bizcomps 2006 National Industrial Edition lists details of the sale of more than 1,250 businesses.